8th September 2017, George Town, Cayman Islands: Armour Expo 2017 (September 28th, 2017), with eShore Ltd & Optiv, has announced the addition of two legal experts as Featured Speakers for the 2017 Conference. 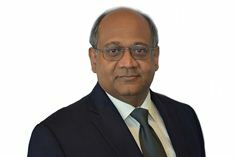 FinTech expert and Legal 500 Recommended, Abraham Thoppil of Maples and Calder (Cayman), and Leading IT, Corporate Governance, and Commercial Transactions Lawyer, Duncan C. Card of Bennett Jones (Bermuda) Ltd will address the demands of Cyber Security as a corporate Governance priority, especially with respect to insurance, FinTech, alternative currencies, cloud and SaaS computing and our commercial dependency on Internet communications. They will join the Keynote lineup including Cyber-Secret Futurist, TED speaker, and celebrated author of “The Imperfect Secret”, Arthur Keleti, author of New York Times critically acclaimed book “Best of Byte”, Jay Ranade, and Ignite MVP and Author, J. Peter Bruzzese. The Armour conference lineup will encourage examination of technology innovations, new regulatory mandates, GDPR and offer a full day of networking and an evening social at Hemingways on Seven Mile Beach. “We’re delighted that we’ve been able to attract so many legal experts to Armour Expo 2017,” said Polly Pickering, Managing Director at eShore Ltd. “It is vital that we ‘arm our’ clients and our community to recognize security is everyone’s responsibility. And also address positive change in our FIN TECH industry which will mean new opportunities but also different risks. Delegates at Armour will take away fresh insight into what is coming next with cryptocurrencies and how this affects us as well as what’s next in information security on the horizon. “It is important to ensure that entities operating in the FinTech space are compliant with the goals of our regulated financial services industry,” said Abraham. “As both a Canadian and Bermuda business attorney based in Bermuda, my presentation will discuss the duties of corporate governance, regulatory compliance, and essential risk management in commercial and governmental environments that entirely depend on a global communications infrastructure that was not inherently designed for security”, said Duncan Card. The conference will welcome the industry’s leading thought-leaders, practitioners, policy-makers, authors and analysts from around the world and also features breakout sessions, panel discussions, 2 day cyber security course and exam prep prior (26-27th) and conference day demonstrations led by expert speakers, sponsors and technologists. Abraham Thoppil will be speaking at Armour Expo 2017 on: Thursday 28th September, 2:30pm – 3:00pm. Duncan C. Card will be speaking at Armour Expo 2017 on: Thursday 28th September, 12:30pm – 1:00pm. Armour Expo 2017 with eShore & Optiv takes place at Marriott Beach Resort, Grand Cayman on 28th September 2017. Delegates can apply for a conference ticket today at http://armour.ky.